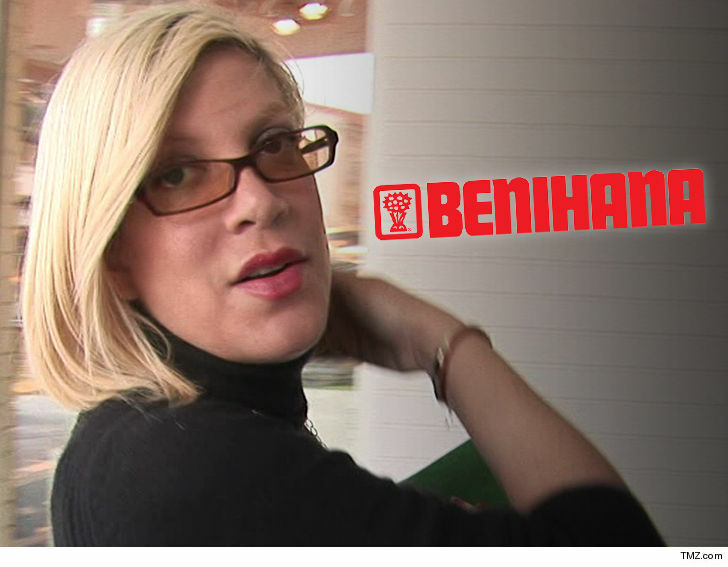 Tori Spelling and Benihana put out the fire in their legal battle … and all signs point to the restaurant chain paying her some cash. According to new docs … Tori and Benihana reached a settlement in her lawsuit, in which she alleged she slipped and fell on one of their hibachi grills at the Encino, CA location and suffered deep second and third-degree burn injuries. Spelling sued in 2015 for medical expenses and pain and suffering, and even if she didn’t get her pound of flesh, she at least got an 8-ounce steak from the chain. Hopefully the settlement included some gift certificates … that place is delicious.